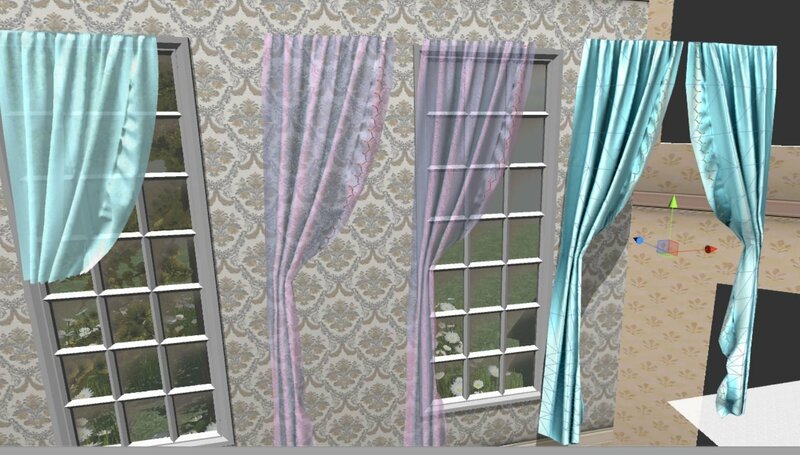 Made these curtains over the past few days with Marvelous Designer. I love this program! Its so much fun to use! Key points were to use pinning, watching this playlist of these videos on youtube, and being patient when my computer slowed down. Next I need to make a low poly model with UVs. I'm not exactly sure how my topology should work yet, but hopefully I'll have something with a nice silhouette and great for baking. Nice model! 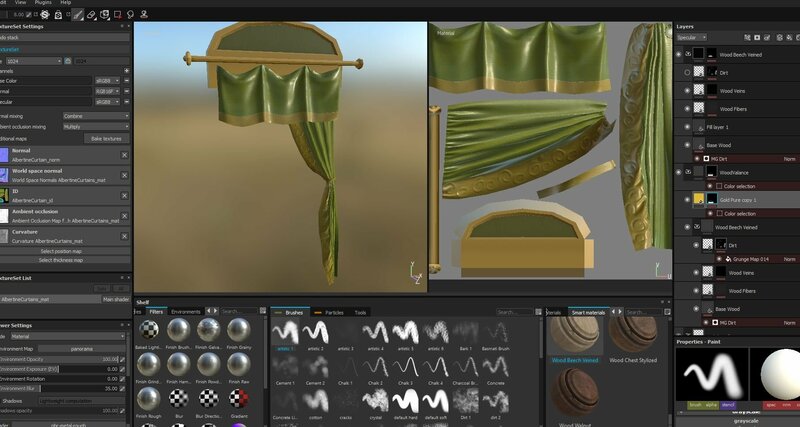 I'm wondering if someone has good tips how to apply a nice damask pattern on a baked low poly for something like that in photoshop. Actually....when working with MD..its better to texture the hipoly and then bake diffuse to low poly with dufferent UVs. 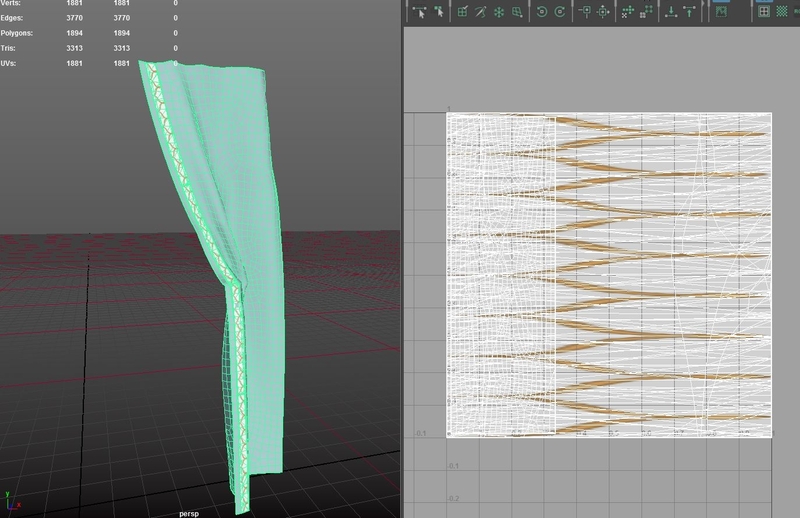 MD makes UVs how real fabric would work...important for tiled patterns. I couldn't help but get so excited that I went straight onto baking ao and norm maps instead of coloring it. yay! It was exciting! I mostly used xnormal for the baking process. But then again, I might also be able to use like quixel or substance. @steppenwolf ;what do you mean? 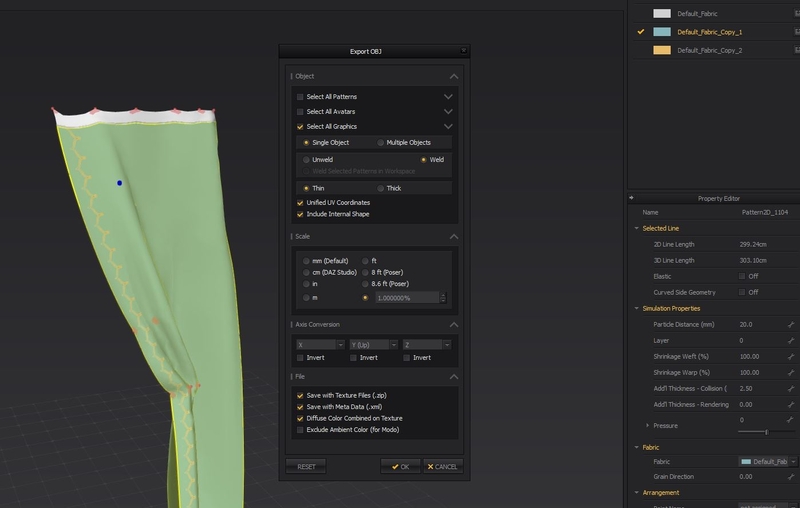 What i mean is when the model is retopoed and baked it becomes difficult to add a pattern texture due to all the folds. I'm sure i've seen a tutorial for that tho. But what 2bytes suggests is definitely the smarter move. Didn't knew that was possible in MD. MD is a crazy awesome program. You can make as much HP detail (that your gpu can handle) with vector art shapes, cloth simulation, and adding textures to a uv map. 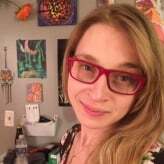 Here's a video of a user explaining adding embellishments, and then me matrix sewing a bunch of swirls... lol good times. Yea i've seen some awesome things made with MD. Someone even used it for a cushioned hull of a space ship. Do you know if it's possible to export files from the 30 day trial? 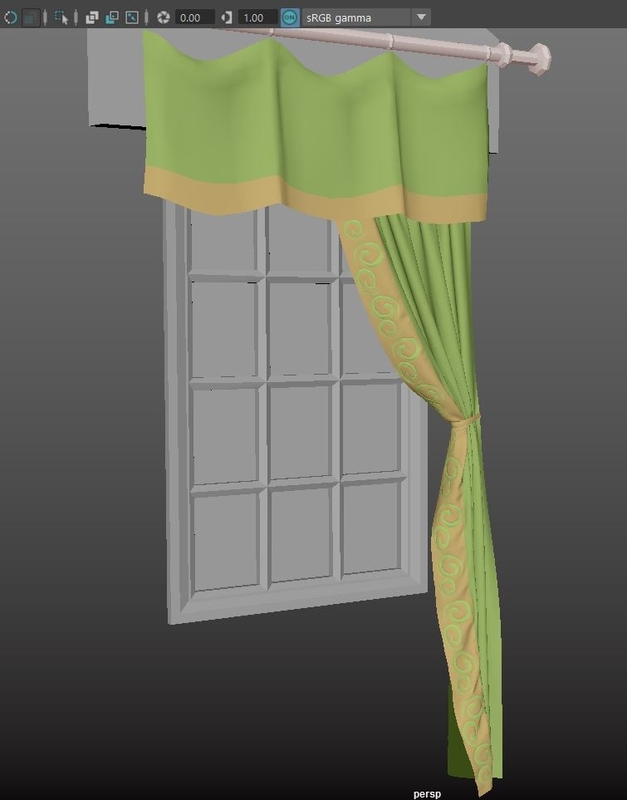 I have to do a curtain for my scene aswell eventualy. Would be a good opportunity to give it a try myself. You dont need to add textures in MD. 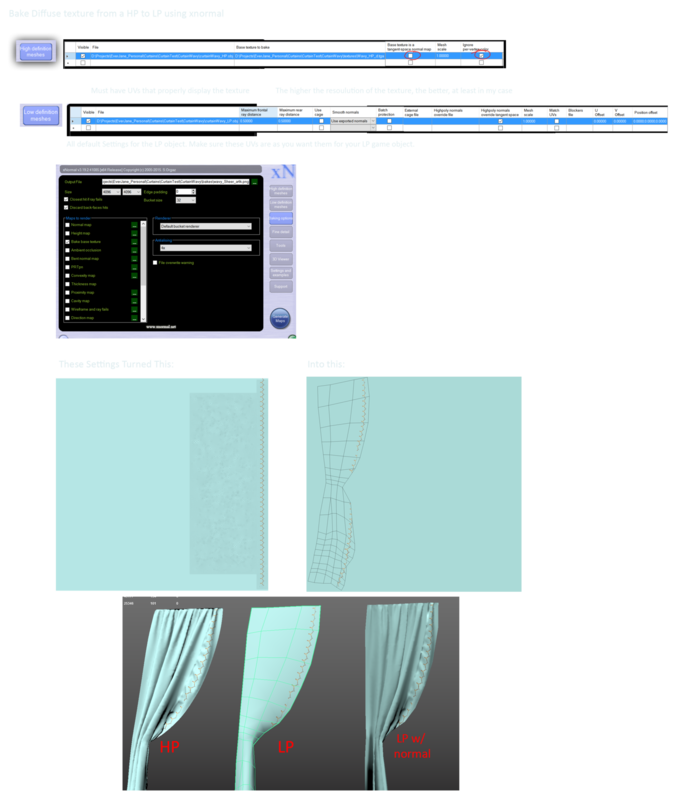 When exporting the HI Poly to your modeling APP, the pattern itself is also the UV layout. 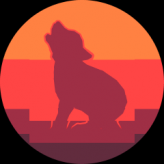 Use this when adding the tiled texture maps. Mostly Maya... use transfer maps? Substance Painter Noob... There are so many buttons! Where's the make not shiny button? How do I edit the spec map? 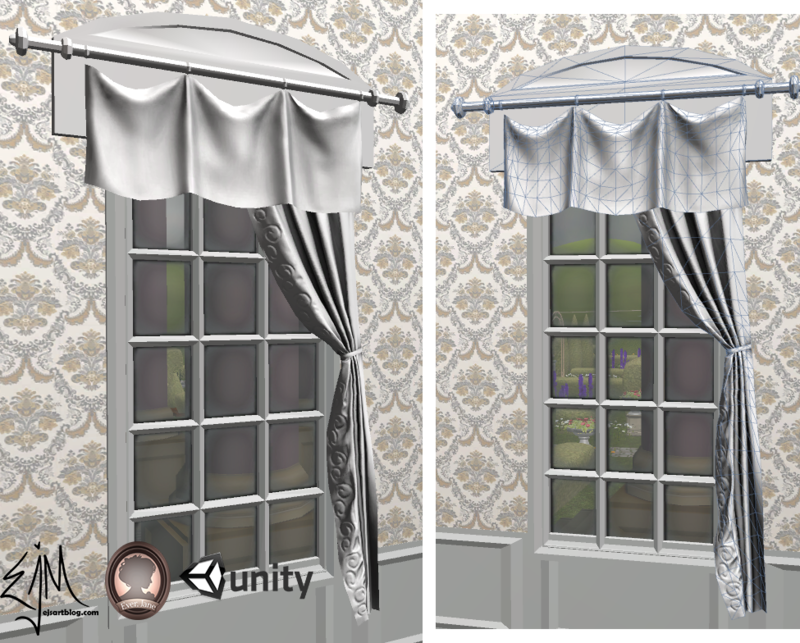 It took me a long time to do these curtains on The Order 1886, I unfortunately don't have a closer shot. 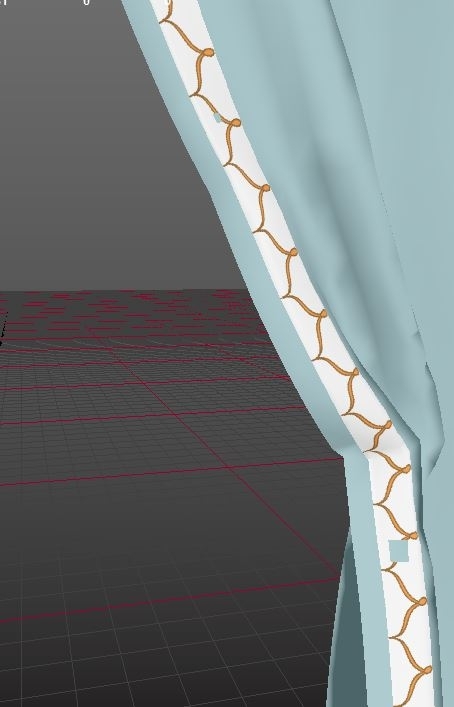 Basically, don't try to emulate the size, or don't try to fake it, make sure you do what the fabric is actually supposed to, and keep moving verts and pinning. And yes, my machine was going nuts when I wanted it to go higher res. After a long time I was able to get the way of it and had it all fine. It does unfortunately take time. As for the lowpoly, It's double sided with a thin edge around it, I used zbrush to create an extract and add thickness. @Bugo that's awesome! I love that scene in general. The game i'm working on is from the same time period. We're using a lot of reference from Akermann's Repository. 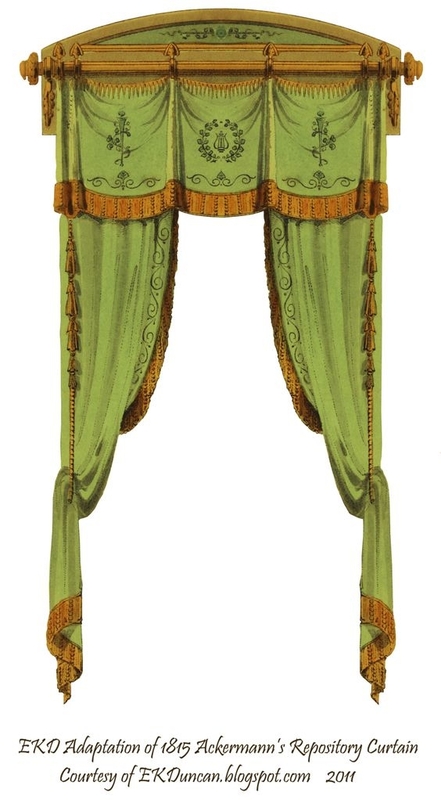 Only issue with those is you can't tell what the fabric is made of in order to know what its doing. My machine also got slow at a higher resolution. Can you comment on how you got the texture map detail from the MD model to the low res game model? You might also like this post of a piano I'm working on. Tried exporting a HP mesh from MD with a texture map. It comes in looking like this. Are my export settings wrong? or maybe i applied the texture incorrectly in MD? The UVs are stretched all over the place and the graphic on the material is stretched too. From this stage it would take some heavy/unwanted work to clean it up. I also want to get a lacy sheer alpha map on here. Thoughts? So it also applied a second mesh object for where the graphic is. how weird. I guess if I'm just baking it to a lower poly object, the uvs don't matter. I guess i've just never thought this way enough to understand the workflow yet. I'd probably use maya transfer maps, xnormal or substance, but I've never actually done that for a diffuse map. Do you have any ideas for steps I might take to proceed? it sounds like you're saying bake the hp model into a flat texture to put on a poly plane or another lower poly mesh, yes? You should be able to preserve/ transfer a texture map from a highpoly and apply it to the low with xNormal. There is an option under "High definition meshes" called "Base texture to bake." You may have to play around with unchecking "Ignore per-vertex-color" to get it to work. I believe substance has that ability now too, though I havent used it yet. Next time i'd like to create the tile sheer texture using substance designer, something that allows me more control, but for this purpose time was more important. Thanks for your help everyone!